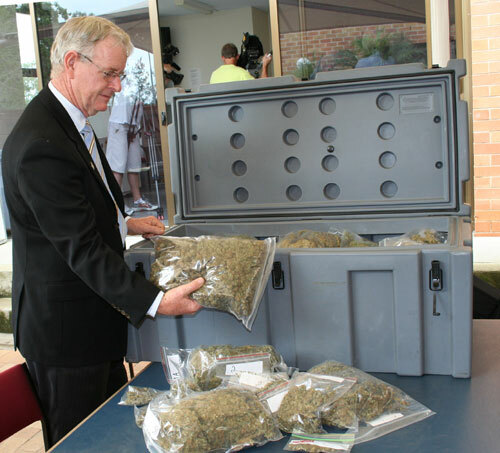 We arranged for the journalists to meet us at the station where our haul of stuff was being kept, and when the 39 pounds (all head/bud) was brought out, you could smell it from the road! The property officer said she had workplace health and safety regulations to follow when it was locked in the property room that said she couldn’t stay in the room for longer than five minutes because of the health risks. Even though everything was sealed in bags, the smell was extremely powerful. 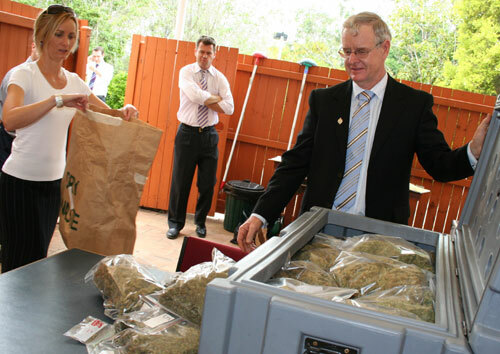 Even the cops from the police station came out to have a look at the quantity. If you read the media release, don’t forget to catch the two inadvertent puns: “joint” and “Potts”. It was really fun to be so closely involved in something so big! My job is so cool!